New Delhi: Addressing the nation on the 43rd edition of Mann Ki Baat, a monthly radio programme, Prime Minister Narendra Modi announced the launch of the government’s special summer internship linked to the Swachh Bharat Abhiyan. He urged the college students, NCC Cadets, NSS Jawans, students of Nehru Yuva Kendra and other youngsters to join the internship and contribute towards a clean India. Jointly designed by the three ministries – Drinking Water and Sanitation, Human Resource Development, and Youth Affairs and Sports – the 100-hour experiential internship program would require the candidate to visit one or more villages and conduct activities of their choice to contribute to the cause of rural sanitation in India. The objective of this internship programme is to engage the youth across the country and develop their skill and orientation for sanitation related work, amplify mass awareness on cleanliness and cement the people’s movement (Jan andolan) aspect of Swachh Bharat Mission. This is in line with the Prime Minister Narendra Modi’s call on October 2, 2014 for each individual to devote 100 hours to Swachhata through the year. The programme is expected to not only provide a great learning experience to students but hopes to also further the existing measures undertaken by the government in ensuring a clean and healthy India. “This is an opportunity for those young people who wish to contribute to the country, bring about a change in society and learn something in the process,” PM Modi said during his Mann Ki Batt. Students enrolled in universities, colleges may apply through the enrolment form available on sbsi.mygov.in. The candidates can either apply individually or in team of maximum 10 members. 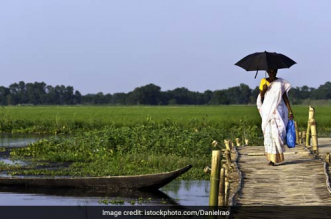 The last date to apply for the Swachh Bharat Summer Internship has been extended. Now, students willing to take up the internship can apply till June 15, 2018. Earlier, the last date for registration was May 15, 2018. The duration of the internship is 100 Hours and students can do it between May 1 and July 31, 2018. In this summer internship, it is expected that the students will not only participate in the overall cleanliness in the villages or slums but would also help in setting up systems for sustaining cleanliness and sanitation efforts under Swachh Bharat Abhiyan. The students need to submit a report on the Swachh Bharat Internship portal through a supervisor assigned by the institution who will be responsible for guiding the students through the internship as per guidelines. “The best of the best interns, who have done exceptional work at college, university state and national levels, will be given prizes at the national-level,” Prime Minister Modi announced duing his Mann Ki Baat. He said the internship would be a tribute to Mahatma Gandhi ahead of his 150th birth anniversary on October 2. The interns will also get incentives including credit points by the University Grants Commission (UGC). 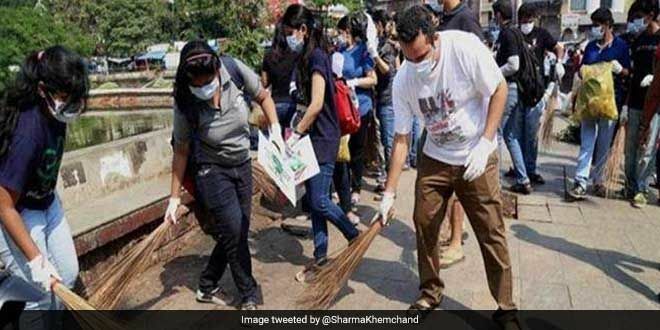 The University Grants Commission secretary Rajnish Jain on March 23, 2018 wrote to the vice-chancellors and heads of over 800 universities and about 38,000 colleges suggesting that students pursuing courses in higher education institutions should be given two credit points for undergoing 15-days (100 hours) summer internship under Swachh Bharat Abhiyan activities. We have submitted the report much before the due date and the same was showing as approved by Nodal officer, but now site is not working. when we will get the certificate let us know about the winner list. kya ye sach hai, sarkari kam kabhi pure nahi hote. chahe koi si bhi sarkar a jae.koi farak nahi padta, tabhi jyadatar vote NOTA ke lie jate hai and NOTA ke vote badte he jae ge. sarkar sapne dikhati hai, apna kam nikalwati hai,fir bhul jati hai. I’m unable to login my sbsi account and I had submitted my activities report on time… a big disappointment here,,, Nodal officer also expect some external help and also giving wrong statement for the same… Where is certificate,where are cash winners,Where are internship launchers,We did activities on time so where is HRD Minster,PM ,Sports department,Sanitation department???? is this internship a joke ? I have been submitted report but still i didn’t get certificate. How much time will take for getting certificate. We are participated in SBSI 100 hrs Programme and successful completed the work. we have submitted the report up to step 2 out of step 3 much before the due date and the same was showing as approved by Nodal officer of our college. Till now we are waiting to upload step 3 report.. But, this step3 report link is not enabled in the site, in this regard we are given information through phone but they are not given any replay. so, that’s way we are waiting till now. Now Site is not working. so, Please guide me how to submit the final step3 report and how we will get the certificate. same problem . i am also not able to open the website. Same problem here.. I’m unable to login. I am trying to submit my internship report online (deadline July 31 2018) but the website is not working. Can I email it to someone? Please advise. Iam a student of ST Marys college Thrissur. I have attended SWACHH BHARATH SUMMER INTERNSHIP CAMP 2018 of 100 hours.But now I cant upload my report due to some technical errors……so how can i submit my report??????? It is one of the best way to improve the rural areas. I’m really happy to be a part of this program. How I can submit my report???????????????????????????????????????????????????????????????????????????????????????? I have completed my Bachelors from Tata Institute of social Sciences but it is not showing in the list of parent institutions while applying in the summer institution. Due to this, I am not able to register myself fro the intership. What can I do? Hi friends, can anyone please share the login link here. I tried but the page is not allowed to visit. I would be thankful for any of your help. Can you suggest any existing internships by govt for drop our students? Why is it that working individuals can not take part? Getting aware of the above internship, I am very happy to say that if this initiative is taken seriously with the expected objective ,there is no doubt that India is going to be cleaner than ever since we, youths who make almost more than 50% of the total population can bring about a great change through this extreme initiative…. May this initiative get mare successful than expected to be!